Events were held around the world on 1 December 2014 to mark the 53rd anniversary of the declaration of independence of West Papua. The region gained independence in 1961 but was invaded by Indonesia just a year later. Events were also organized in West Papua itself, despite the participants of such events facing the threat of being arrested and imprisoned. 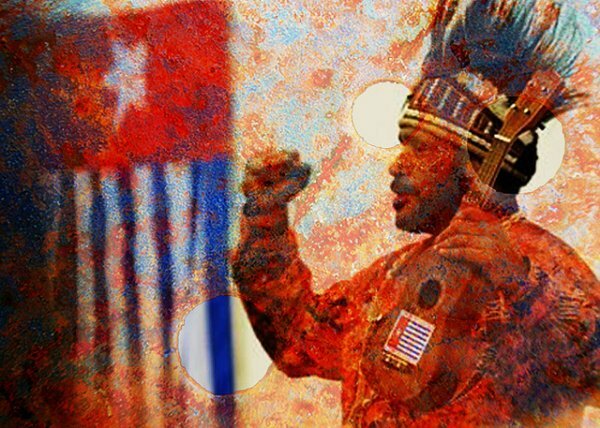 Solidarity events are being held today around the world to mark West Papua Flag Day. 1 December 2014 is the 53rd anniversary of West Papua's declaration of independence from the Netherlands in 1961, a year before Indonesia invaded the territory.